Ribblesdale rests on the western slopes of the dales with breathtaking views. It starts at the confluence of the Gayle Beck and Cam Beck near the very famous Ribblehead Viaduct and which then flows into the river Ribble, with Ribblesdale ending above Hellifield. The Ribble is the only river in the dales which flows westwards and flows on for a total of 75miles (121 km) before emptying into the Irish sea between Lytham St. Annes and Southport. 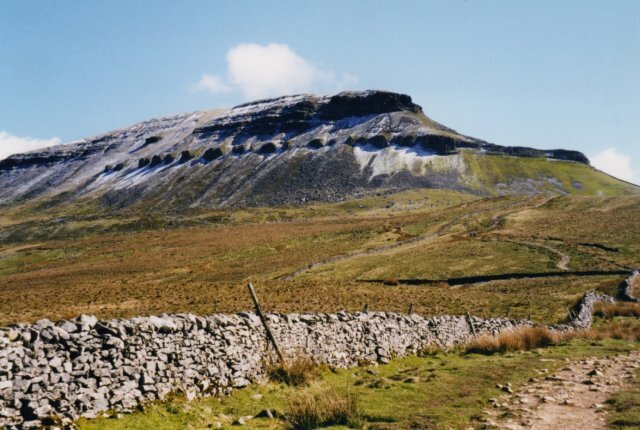 There are many things to do in Ribblesdale and The Three Peaks Challenge a popular event taking on Ingleborough, Pen-y-Ghent and Whernside is a challenge that many people take up. The whole route is some 24.5 miles and a whopping 5000 ft ascent. For the more laid back try a spot of fishing in the river which is stocked with trout and grayling and at the right times seasonal sea trout and salmon. How about a round of golf at the Settle Golf Club. Horton in Ribblesdale has a wonderful 12th Century Grade 1 listed church called the St Oswald. The Ribblehead Viaduct is one of the most photographed structures in the Dales especially when the steam trains are running. It runs across the valley with its 24 arches spanning 100ft each. Ribblesdale has other challenges underground the Alum pot for the pot-holers and Castleberg Rock for the climbers.